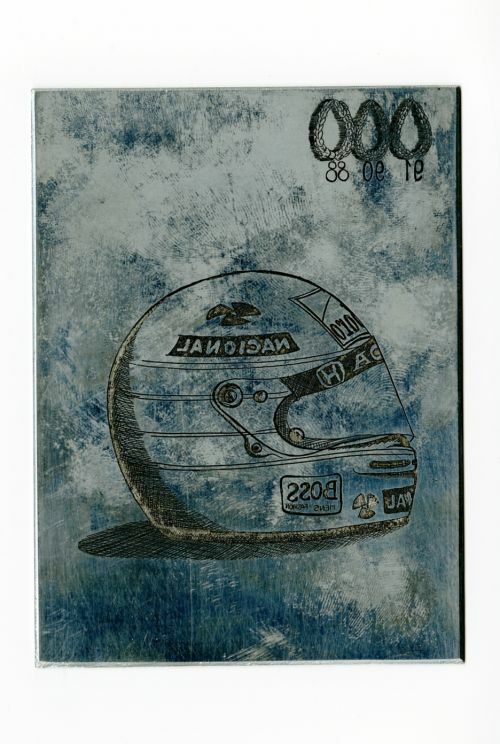 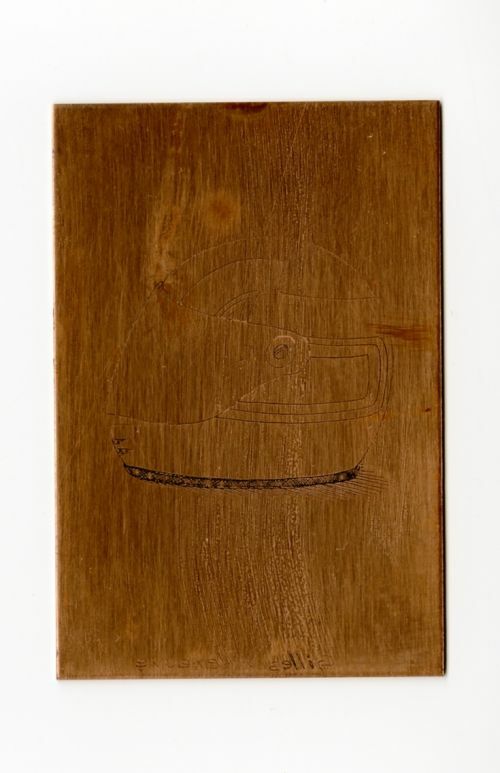 Here, helmets of famous drivers (A.Senna, A.Prost, G.Villeneuve, D.Pironi, J.Alesi, D.Hill, N.Mansell, R.Patrese, G.Berger, ...) are draft on a copper or zinc plate, then after etching the drawing is inked and pressed on a sheet of heavy wet paper ; The final work is supplied as pressed or individually colored by hand, as wished. 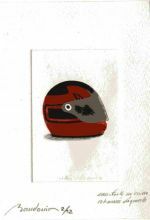 One helmet size 13 x18cm or 18x24cm. 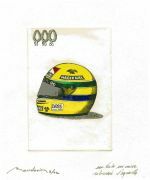 Double helmet size 18x24cm.